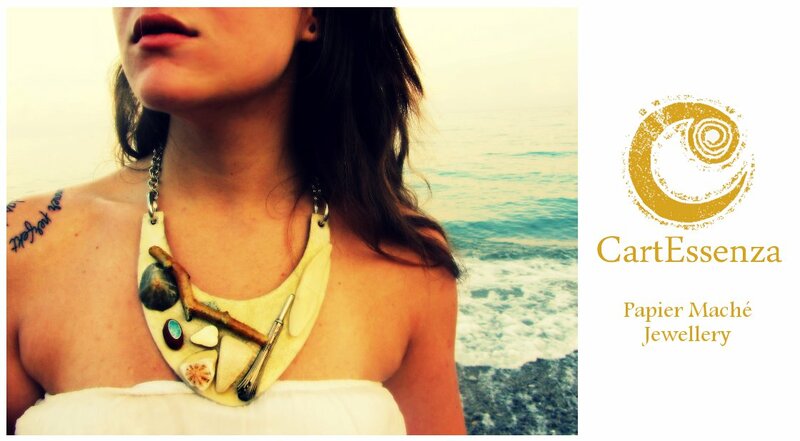 CartEssenza - Papier Maché Jewellery: CartEssenza is from now a registered trademark! But why you should register a trademark? CartEssenza is from now a registered trademark! But why you should register a trademark? Is it worth to register your trademark? In my country, Italy, the Italian General Office on Trademarks' site says that (I'm not going to translate all the part that's on the italian version since every country has its own laws on that), but mostly I say that too cause of my horrible personal experience: more than a year ago, in fact, a collague segnaled me the work of a person who stole a big part of one of my designs and also a part of my name and trademark. I'm not telling you how much that hurt me personally, but I can testify the powerlessness I felt facing the legal actions to take up - long and with uncertain outcome - to try to have back what was mine. In fact even the Italian General Office on Trademark says that you can own a trademark registering it or just using it, but the simple use is not a great protection when it comes to bad times. Said this, you'll now understand why I decided to register my name and logo as fast as I could: I love my project, even if sometimes we argue; I want to take it with me and protect it so things like this will never happen anymore. In every CartEssenza's creation there is work and research on quality and design, but even a little part of my days, my moods, my thoughts and my dreams: all these things are precious and they deserve to not be forged. I'm not writing words on my personal experience I talked you before cause they would be useless. At the end, if I think on it, all this meanness transformed in a great step for my project, and today is what is more important to me. To conclude, so I advice you, if you really believe in what you do, to register and protect your work so that no one can damage you (and maybe make you feel so bad that you think there's no hope in this ambient, country, universe). good to keep in mind...thanks for sharing and congrats!